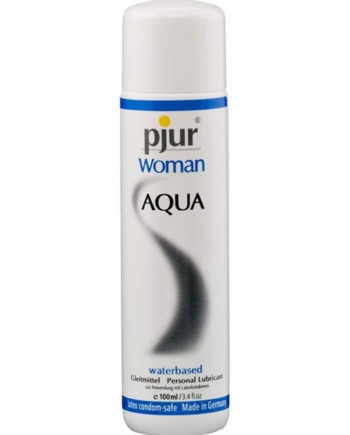 Vegan Natural Water Lubricant. A natural water-based lubricant that not only contains only vegan-friendly products, but has at no stage been tested on animals. Registered by the Vegan Society. 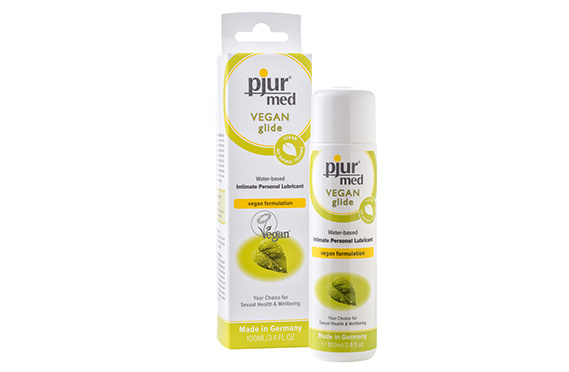 Pjur med VEGAN glide is a preservative free, Vegan Natural Water Lubricant. 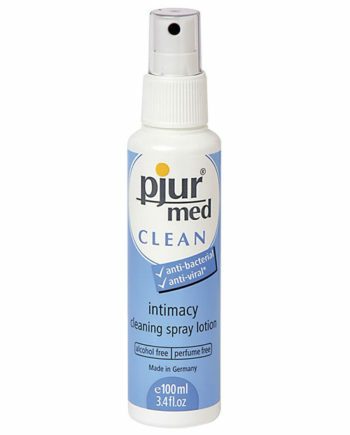 An intimate personal lubricant with solely vegan ingredients and without any animal testing. 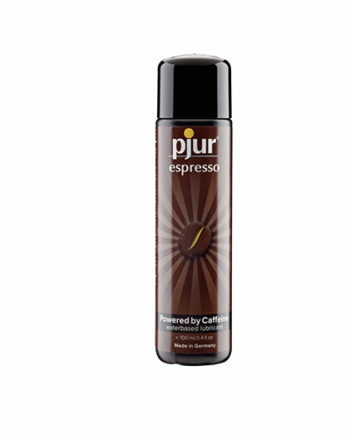 It provides gentle additional moisture for a long-lasting lubrication and is pH-balanced. The formula is especially suitable for sensitive mucous membranes. Free from perfume, parabenes and glycerine. Compatible with latex condoms. 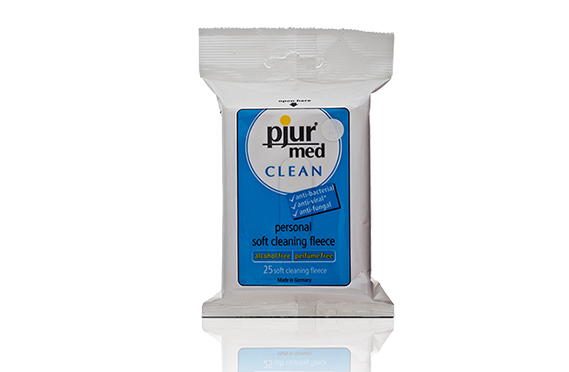 Quality is top priority for pjur and the Med Vegan Glide Water Lubricant is no exception. This approach is reflected in all areas of the company as well as in the production, refinement, and shipping of the pjur products. These products are a symbol of a modern lifestyle for health-conscious consumers who want both fun and safety. Millions of customers all over the world trust the reliability and the safety of these quality products.